I took it on 30th Oct '06 and got a 770!! Quant-50, VA-45, AWA-5. Which books to follow :-? What to expect on the D-day? Guyz I feel that the best way to start something is to make a quick plan...a layout which has weekly targets. I would try and make a rough plan which will enable you to make your own. But before that a little introduction of mine would help you understand and relate to this post much better. I am currently working in IBM India (Pune to be exact). I did my B.Tech from IIT Delhi...rest of the story is more or less told in the first few lines. To sum it up...before starting my prep I had a good level in Quant, as is expected from an IITian. In my verbal portion I was quite comfortable with the RC(Reading Comprehension) portion. But CR(Critical Reasoning) and SC(Sentence Correction) were a total mess at first. Keeping these points I think we are ready to move ahead. First things first...What is it? Its a Computer Adaptive Test (CAT), i.e., to say that it adapts itself to your performance. You can get plenty of info on this. I would recommend you to visit the official GMAT site. In short as you keep on getting the questions right, it will throw tougher questions at you, till the time you won't be able to solve the next tougher question, but are able to solve the next lower level. Before I recommend you to take a diagnostic test, I would like you to spend not more than two days on researching the question types, reading about the test and familiarizing yourself with the GMAT. When you are comfortable with the GMAT jargon : CAT, SC, CR, VA, DS, AWA, blah blah blah... its time to test yourself. Do not be afraid of taking a diagnostic. The biggest mistake you can make is not take a diagnostic and channel your efforts in the wrong direction. It's standard...so you can compare your scores with other guys. Make sure you have read all the instructions carefully, as you would certainly not want to waste time on reading instructions that day!! Be prepared...that's the key to success in GMAT. Never mind...you will do much much better in the actual test if you start it from today!! Okay so you want to know how much?? Let's say around 100 more than the actual score...assuming that you took it without preparation. Even if you preapred a bit before taking it, but it was your first test...you can easily hope to score 60 more. I took it after some preparation, but nevertheless it was my first test and I got a 710. After a month of preparation I took the second test on the same CD, and I got a 740. I finally got a 770 on the actual test. Let's not get into the score analysis thing right now. We'll come to that later, when I will give you the list of all my test scores to compare. It was an eye-opener...right?? It was for me!! Typically one would find that most of the mistakes in Quant section were silly mistakes. Especially the DS section. Most of the time one got mixed up with the two statements. Or the confusion between Yes/No type questions. Yeah it's tricky and that's why you need to work on your quant as much you need to work on the verbal section. Keep one thing in mind here...mistakes in quant cost you more...a score of 50 puts you in the 95%le slot. While even a score of 45 in the verbal section (as with me) puts you right in the 98%le slot. So one should ideally aim for an 100% accuracy in the quant section...and believe me thats doable. As for the verbal section...SC is very tricky...and I dare say... the easiest. You need to know all the rules and you will see your accuracy climbing up to around 80% in no time. And remember...unlike CR & RC questions, SC questions takes up the least amount of time. We will take up each section one-by-one...but before that an important message!! Check out all you would need!! Its really nice of you to put up all this info. and your exam experience out here. Im Ganesh. IBM Pune. BTech from NIT Nagpur. Sure buddy!! I will be posting the next sections soon...its jus that CAT is keeping me busy these days...after that its blogging and apping and some coding too!! Thanks for the encouragement!! :-) I am happy you liked it!! Great tht u still aiming for CAT. cat what for ??? anyway good great post buddy. .i might add this to my blog ... with your permission of course. you familiar with beat the GMAT.com ? This is great stuff.. thnx a ton. Congratulations Mukul and thanks for sharing some sterling advice on how to prepare for the GMAT. I hope you don't mind but I have added you the Tips from successful GMAT takers list that I am compiling. I think this is a very comperehensive explanation of the process and what to expect. You have done a great deal to help others like me. Thank you for that! Mukul !! Mr Kul ! Thanks a lot for your post. Its a smooth read and informative. Good job ! Thanks for doing a wonderful job for the starters! Could you suggest a couple or more of forums you think were pretty good? and other relevant websites you found useful which are pretty good from the hundreds out there? That'd be a good help too. 770 is like awesome dude....Congrats....Its an amazing gesture by you to take out so much time and pen down all your experiences here. I have stopped surfing for other GMAT forums and sites. Sticking to your plan now..Wish me luck. hiii gr88 info and plan.. motivating us a lot... keep going.. BTW which B school are u in ??? Hi i workin in pune but in maunufacturing. thanks for all the useful info. I am just new to this whole gmat thing. Will keepin buggin u for advice/inputs! Came across you blog while googling about GMAT. Excellent work Mukul. You are helping GMAT aspirants a lot. I enjoyed reading your blog. Very comprehensive info. I am taking the GMAT in a month. I should say this - Working and preparing for GMAT can be tough... especially when you get home very late after a screwed up day in office. And when guys like you blog about their exeriences, it sure as hell can kindle a fire. One more thing, I agree with you 100% about the need for passion. Good Luck. I will post my score after I am done.Lookin forward to apply to ISB, Hyderabad. Thanks.. all these comments seem helpful. I have my GMAT appointment 2 days from today... and I just saw the blog... at this point I guess I'll see what happens and work through your tips for the 2nd test. Hey mukul.. "stumbled into ur blog".Real gud one.. thanks has almost everything abt gmat under one roof. Planning to take up gmat in 3-4 months but hav b out of touch with quants since school days. any suggestions as to how i can go abt the quants section?? SO if you are really out of touch of quants...i would suggest to gp thru high school maths book....9-10th std. NCERT books are very good to revise geo, alg, arithmetic, quad, simultaneous eqns. Coincidentally, I also scored a 770, but it was 10 years ago. I think everything you present makes a lot of sense. My one suggested change would be to jump right into the practice test with no preparation whatsoever. It will really let you know what areas you can slam-dunk with no preparation at all, and which need additional review/practice, etc. A very informative site though. Kudos for putting it together. hey which is a better way to prepare for GMAT? sELF STUDY OR COACHING? Hi Mukul, I have been reading your blog and gmating.com for a few months now. I have been preparing for GMAT for more than 3 months as well. I and done with Kaplan premier, Kaplan 800, Princeton as well. I scored 600 and 610 on two of the Kaplan's tests. When I gave the GMAT Prep test from mba.com I only scored 530 and 540. This has disheartened me a bit but I am not giving up. Let me know whether you'd have some kinda advise for me. Honestly, I am trying to knock on any door which even vaguely says "Help Provided"....LOL. I am in dire need of your advice. From the comments of all the test takers/would be test takers, I feel that they are at a very good situation that they don't need regular brushing up of topics.. they only keep practicing the question papers/tests. My case is a little different. Everytime I start a topic and just as I get a grip over it, I forget the earlier one. And I again have to go back to the earlier topic when solving a test. Did you only read the composite gmat books or you also had some topic-wise books on math. like a whole book on probability question/geometry questions/P&C etc What strategy could help me keep everything in mind? Beleive me I finished all the topics from two gmat books and internet sources but I still have to run to the notes i made/book/internet when solving test papres.. Help please. Congrats, great Job. Cracking GMAT with great score of 770 is just amazing. So those aiming to crack GMAT exam with great score, then should go for e-GMAT to learn. They are the best in the industry with have a good base of students. How do I prepare for GRE? 1) Begin with the word list and make sure to complete 2-3 wordlists a day. Once you have a strong vocabulary, cracking verbal section will not be difficult at all. 2) Go through the lessons in GRE community and practice giving tests. 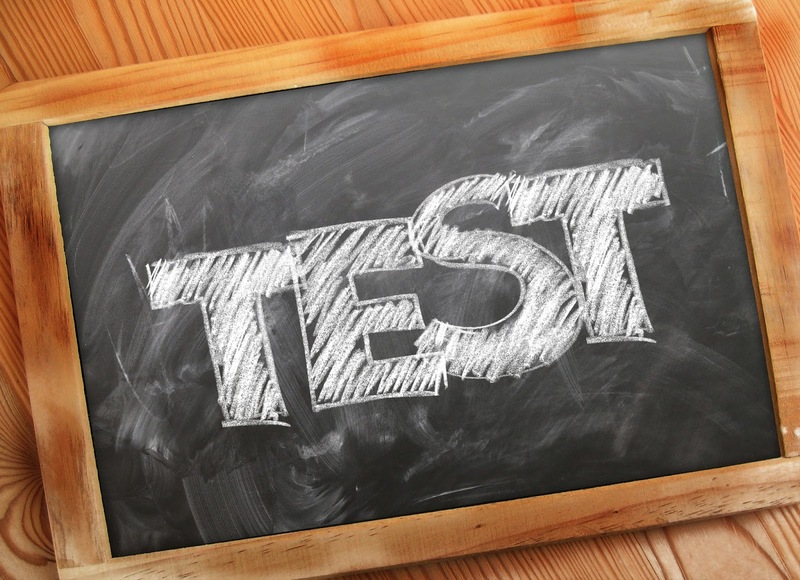 3) Practice giving mock tests from Barrons, Kaplan, PowerPrep software after you are done with the preparation. Study2Migrate is run by a group of teachers with more than 7 years of experience training students. Saying so you can feel the difference in the way you were taught from the moment you step into all the way till you secure a good score. Great article with useful tips. I have also a good reference for student who are planning to give GMAT Exam. GMAT Coaching in Delhi this will help to find out best coaching institute for GMAT Exam Preparation. JEE Main 2019 answer key by TIME Institute will be released on the day of the exam. Joint Entrance Examination main will be conducted by National Test Agency twice in a year.